Hyderabad is the capital city of the Andhra Pradesh and the southern Indian state of Telangana. It is the fourth most populated city of India. It was established by Muhammad Quli Qutb Shah in 1591. Hyderabad is generally known as the City of Pearls. The name Hyderabad name derived from the Persian/Urdu words haydar (lion) and abad (city or abode). 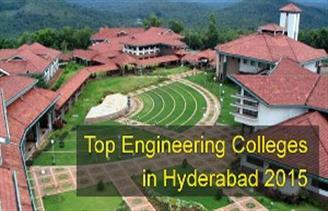 In this article, we will catalogue the Top Engineering Colleges in Hyderabad 2016. Hyderabad is the important city in India that provides good educational opportunities. It is a home of various institutions/colleges/universities. Its educational facilities attract the students from all over the world. Through a 2011 census, the literacy rate of Hyderabad is 83.25 percent.